Summary: This park has an extensive amount of land. 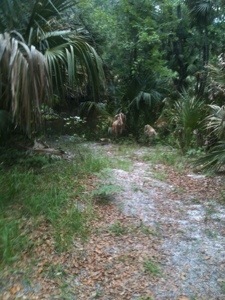 The portion of the park I had hiked through laden with brush and sand. The topography had a lot of low lying areas prone to flooding for breeding insects, suggest proper attire. 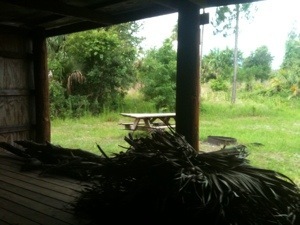 There were two primitive camp sites along this portion of the Florida Trail. The first had a shelter but, no water source within thirty minutes. The second campsite had been near the river bend about another hour away. During this trek, the weather had kept the temperature down and mosquitoes away. In preparation for the trip, I had packed a reasonable amount of fluids (8 -12 oz. bottles). Still I had run out of liquids by end of daylight. Pack accordingly, this adventure was for the more seasoned traveler. To access this park, I had headed I-4 eastbound toward Daytona, Florida exiting at 46a. 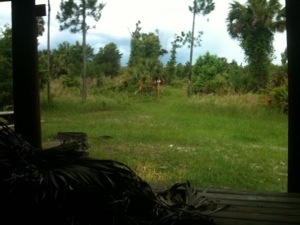 This entry was posted in Central Florida, Travel and tagged central florida, Travel. Bookmark the permalink.